In military strategy and tactics, shaping involves using ground, obstacles, and the opponent’s strengths, weaknesses, and intentions against him. The objective is to get him to manoeuvre and move in such a way as to be surprised by your dispositions or in a weak position so that you can bring your strengths and combat power fully to bear. The best example of that is an ambush. In an ambush, you position yourself on a route that you know the enemy will use and then when he passes there, you give him all you’ve got. The best defences are basically set up as ambushes. When I was an infantry company commander, my objective was to position my forces so that the attacker wouldn’t see me until I chose to open up with my weapons. By then though, my intention was that he would be positioned in such a way that I could use all of my weapons and forces to their most lethal effect, while the enemy couldn’t. How can you shape the competitive battle space? 1. Educate your customers about your products and services, or about what makes you different. 2. Educate other stakeholders about why your services are important or different. 3. Choose a time and place to act that your competitors or opponents can’t anticipate ahead of time. 4. Position your products and services such that you’re bringing your strengths to bear in the most effective manner possible. 5. Maintain secrecy about your activities in order to surprise everyone. 6. Conversely, and if relevant, create anticipation about what you’ll be changing or doing differently. 7. Withdraw from the field in some areas so you can concentrate on other areas that leverage your strengths better. 8. Let your competitors in and then let them expend their resources, shooting their load on their first assault. 9. Exploit a feature of your market that your competitors don’t know as well. This is what companies like Walgreen did when Jean Coutu bought Rite Aid and Brooks Brothers pharmacies in the US. Walgreens knew that PJC didn’t have the resources to continue investing in their acquisitions once they had made their first assault. After that, Walgreens and the other established US based companies could just wear them down by aggressive pricing and other tactics, knowing that PJC didn’t have the capability to continue investing indefinitely.  © 2007-2019 Alcera Consulting Inc.
Comprehensive Consulting Services Strategy, Sales Improvement, Risk Management, Process Improvement, Workshops, Training Development, Business Continuity, Etc.